Alicia Gibb is an advocate for open hardware, researcher, and a hardware hacker. Alicia has worked within the open source hardware community since 2008. She is the founder and Executive Director of the Open Source Hardware Association (OSHWA), an non-profit organization to educate the benefits of building and using open source hardware. She founded the Association after founding and chairing the Open Hardware Summit, a conference where the open source hardware community discusses business, manufacturing, legal implications, and all things open source hardware. David is a graduate student in the High-Low Tech group at the MIT Media Lab and co-founder of the Arduino project. Before coming to MIT, he earned a master’s at the Interaction Design Institute Ivrea and taught at the Copenhagen Institute of Interaction Design. 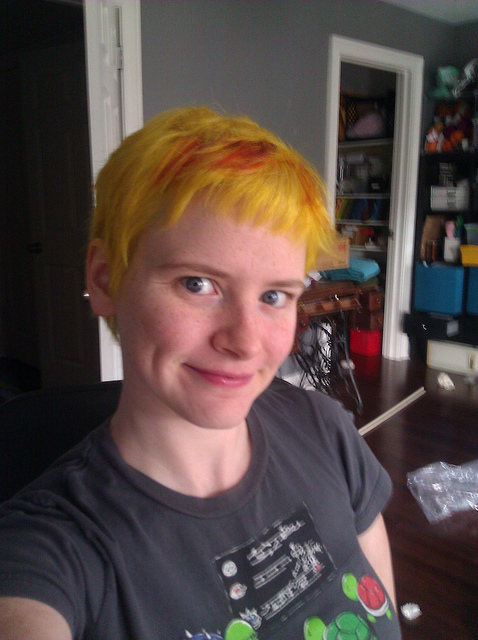 Kelly “Kellbot” Maguire is a web developer, open source hardware enthusiast, and dedicated knitter. She is an advocate for hands-on learning through hardware hacking. When she is not trying to cajole her knitting machines into working, she can be found watching professional Starcraft matches (yes, that is a thing) and building treehouses in Minecraft. Caleb is an all-around open source enthusiast, maker, and artist. He has been responsible for bringing in new technologies for the roles filled over the last decade. Prior to working at OSHWA, he was the full-time 3D Printing Coordinator while simultaneously completing the Video Game Production Program at The Digital Animation & Visual Effects School (DAVE School.) While there, he taught 250+ students the pipelines and skills necessary for professional success in 3D printing. After graduating, he was chosen among many alumni to be a Graduate Teaching Assistant for both programs offered. 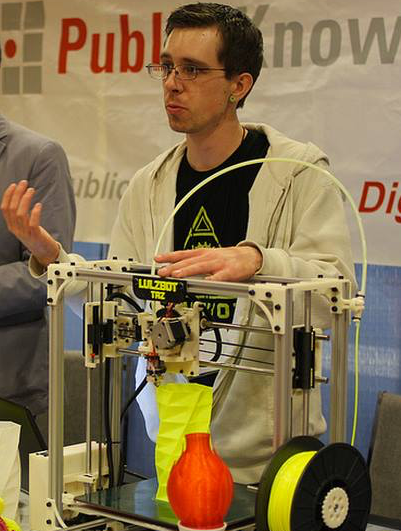 Before DAVE School, he managed the then largest fleet of RepRap printers on the planet for Aleph Objects Inc., the creators of the Lulzbot brand of libre hardware 3D printers. Other experiences include: serving on multiple productions for the Emmy-award winner Ron Thornton (visual effects producer for The Asylum, creators and producers of the Sharknado franchise), earning his black belt after five years from the Olympian and former head coach at the Olympic Training Center Grandmaster Han Won Lee, prepping nationally ranked performance European cars for track use at SCR Performance, working on virtual reality games while developing for the OSVR and Oculus CV1 platforms, and building hundreds of boutique workstations for game/VFX development at DvNT Technologies. 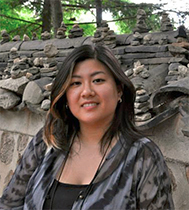 Aileen graduated from The University of California, San Diego with a major in Computing in the Arts. She was introduced to open source hardware in her electronics arts class taught by Alicia Gibb, and later got hired to assist the good people of OSHWA. Her interests include graphic design, magical friendship ponies, and sleep.